Founded by Brian Riley and Kyle Jansen, Guardian Bikes has been seeking to change the world of bicycling for the better, and safer. This is done primarily through their revolutionary braking system, which works by first applying braking to the rear wheel and then slowly applying it to the front wheels to ensure that there are no head-over-handlebar accidents like the one that nearly killed one of the owner’s grandfathers and succeeded in breaking several vertebrae. Before Shark Tank, Guardian Bikes had primarily focused on selling their braking system and pads to other bike makers, though plans have been in the works to begin manufacturing their own bikes, though to extend their brand, they need a little extra capital. Did Guardian Bikes convince any of the investors to put down some cash for a stake in the company? Let’s find out. Starting out, both Brian Rily and Kyle Jansen were hoping for $500,000 for 10% of the business. On the surface, this may seem like an extraordinary amount of money, but with the following revenue reports, many would agree that Guardian Bikes had the glimmer of a potential multimillion-dollar company about them. First of all, in terms of sales advantage, Guardian Bikes have been able to sell their braking systems out for only $4 more than the competition, which can easily be recuperated in bikes which are typically several hundred dollars, and are selling pads at $5, which has led to an astounding $200,000 in sales from pads alone in the past 3 years. In terms of bike manufacturing, which is a considerable jump into the market they could have kept out of, they have made nearly $95,000 by the time they are presenting in front of the sharks, and have a projection of $350,000 by month 12. The bikes themselves at the basic level cost around $146 to manufacture but can be wholesaled at $240, which makes for a decent profit margin. In terms of opinions of the sharks, there was a great deal of debate whether Guardian Bikes should have gone into bike manufacturing at all, as opposed to staying a licensor of their SureStop safety brake product. The reasoning behind both sides were as follows: For those who wanted to see bikes continue to be built, this could be seen as a way to get name recognition and have a feedback cycle of people liking bikes made by the company and then upgrading to a full Guardian Bike, or those seeing Guardian Bike’s SureStop and then buying another bike with that technology also installed. On the opposite side, it could be seen that manufacturing bikes when companies like Huffy already existed could be a large risk of capital, and a mostly unneeded one if marketing could be done correctly. In the end, of all the sharks, Mark Cuban was the only individual who believed the company not only had a great product (which was generally agreed upon) but also could manage both licensing and manufacturing. As part of the deal, Mark Cuban agreed with the owners that $500,000 would be acceptable for 15% of the business, contingent upon the owners meeting 6 and 12-month goals, as well as hiring a PR professional in-house. In 2018, Guardian Bikes appear as strong as ever. After the cash infusion from Mark Cuban and the hiring of someone for their PR department, there is a much wider presence of Guardian Bikes on the web. Not only do they have their own website which is in a clean Web 2.0 format, with ordering information, how to videos and plenty of promotional information as well, but they have nearly every form of social media presence possible. On their facebook page, there appears to be consistent activity, promoting new bike colors, videos regarding performance and set up, and clear as day is a banner that promotes the fact they have been invested in by Mark Cuban. In general, fan activity is a little limited, but considering the niche market, this isn’t something of great concern. Twitter contains a similar story, with plenty of retweets that state how lovely the Guardian Bikes are and the build quality making for excellent gifts. 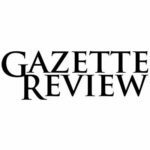 Instagram and Youtube accounts are a little less active, but present great avenues for advertising and teaching consumers about their products. Speaking of products, let’s take a look at how they are making bikes in 2018. Currently, only 20” and 24” bikes are available, with 4 of the 20” and 3 24” available. It appears most of the bikes are a typical street bike configuration with an A-frame and wider tires, with one of the 20-inch models appearing more to be a street cruiser. The frame itself is modified to allow for a lower center of gravity, which helps improve maneuverability and balance while on the bike, which is especially important for kids who are new to biking. All of the bikes are made of 6061 aircraft grade aluminum, which makes them around 10 pounds lighter than their counterparts. In terms of gears, there’s a split between a single gear and Shimano 6 and 7-speed configurations available. The Rhino rims are designed specifically to take hard bumps easily (for example, off a street curb) and the SureStop braking system is of course installed on all models. Most of the products on display have high ratings of 4.8 to 5 stars out of five, with reviews tending to be around the 100 mark. In terms of expansion, it appears at this time Guardian is not looking to enter the adult market for themselves. 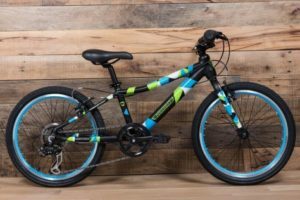 Instead in late 2016, SureStop braking systems partnered with Schwinn to create the Candis model, which is a budget bike that comes in adult sizes and is currently available through Walmart. This almost certainly has created a better market valuation of the company itself and could make for a bright 2018 for Guardian Bikes.